First it was ATMs, then came net banking and now it is mobile banking. Similarly, four years ago it was Loyalty vouchers through cards, and now internet and mobile is taking over. 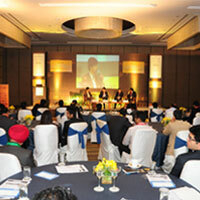 Amid these new trends and technologies—entrepreneurs, fund managers and bankers at the Techcircle Payments and Loyalty Forum 2013 expressed their views over different panels. Here are five trends to watch out for in the payments and transaction processing industry. Online payments ecosystem is evolving and is at a stage where payments will move from the majorly popular cash on delivery (COD) to payment on delivery. For consumers it is more about the perceived power of shopping than the mode of payment being adopted. "As opposed to offline shopping the perceived power of online shopping lies with the merchant and that is precisely why COD is so popular. 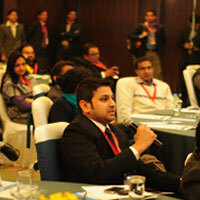 People want the control over their money," said Vivek Nayak, COO, Avenues India. 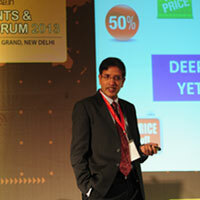 Kumar Karpe of TechProcess Solutions stated that COD is just another mode of payment. "Customers want to have control the mode doesn't matter. Soon, there will be a time where COD will give way to payment on delivery. In fact we are already seeing it with card on delivery mode," he said. Though there are enough e-payment gateways coming up and the number of companies that provide ATM installations and operations too are increasing, consolidation is still not at its peak. "It will take at least two to three years for companies to start consolidating and acquiring. The industry still needs to be mature and there needs to be a certain scale prior to that. Even the road to IPO for companies in our sector is not very near," says Nagaraj V Mylandla, Founder and MD, FSS Pvt Ltd. The investors and entrepreneurs present at the conference said there are still more PE investments to come in the sector before IPOs or mergers. Four years ago, all loyalty programmes that different retailers offered were on paper cards, but now they have moved to internet or mobile. " The important point to note is that the costs in Loyalty programmes are going down and the margins are going up. Analytics is gaining importance and it has to be married to the right channel (mobile, internet) to reach the customer," says Abhijeet Vijayvergiya, Head of India sales, Capillary Technologies. Even the employers/managers have started giving their employees online loyalty points rather than vouchers as rewards, this is an upcoming trends , says MS Ashok from Accentiv. The number of credit card holders have actually been dropping over the years. Five years ago, there were 45-50 million credit card holders which has now dropped to 18 million. On the other hand, there are 300 million debit card holders present in the country today and have been increasing at a rate 3 million users being added each month. So the ideal way to capture Loyalty rewards customers is in tying up with banks and providing data to merchants. "Merchants (retailers) are on a constant look out for customers and we provide them with a data pool through which they can segment their customers according to behaviour and sell customer loyalty programmes. In fact we also provide end-to-end service for Loyalty programmes," says Bijaei Jayaraj, Founder and CEO, Loyaly Rewardz management. The company deals with loyalty rewards for debit cards. Past trends in mobile payments like mobile wallets and IVR-based solutions have given way to newer trends like mPOS and smartphone apps. Going forward smartphones and UIDAI-based solutions would drive mobile payments, said Sanjay Swamy of AngelPrime, who was also a part of UIDAI initiative. "In the next 12 months, plethora of opportunities would emerge for companies approaching the UIDAI for building solutions over it be it in payments or otherwise," Swamy said. So far not many companies have approached the initiative for such associations and thus the window of opportunity is wide open for entrepreneurs, Swamy said.